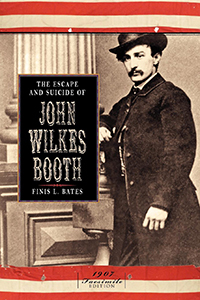 In his 1907 book, lawyer Finis L. Bates reveals that his client John St. Helen disclosed to Bates his true identity - claiming to be Abraham Lincoln's assassin, John Wilkes Booth. History tells us that 26-year-old Booth was killed by Federal authorities at the Garrett Farm in Virginia shortly after the 1865 crime. Based on conversations with St. Helen and evidence he himself gathered, Bates contends that Booth escaped, took on new identities, and died by his own hand (under the alias David E. George) in 1903 at the age of 64. This is a fascinating read filled with compelling details.